A Lancashire MP has written to train operator Northern after service cancellations at the weekend calling on the firm to “get a grip”. Sunday services have been repeatedly hit by short notice changes, including, last weekend, the cancellation of all trains between Blackpool North and Manchester Victoria via Preston. 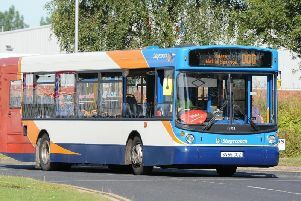 Paul Maynard has repeatedly raised concerns over Sunday operations with Northern and despite being given reassurances by the firm, remains frustrated by a lack of progress. He said: “It is vital Blackpool has a reliable seven-day rail service, particularly has we approach the peak tourist season. “Connections to areas like Bolton, Chorley and Salford are important and it is frustrating to passengers and businesses that Sunday cancellations continue. Northern needs to get a grip on these problems and improve reliability. “It is concerning Northern was unable to provide a reason for this weekend’s cancellations and I have asked the company to justify its actions and give assurances these problems are being addressed. Mr Maynard has asked Northern to give guarantees there will be no repeat of the significant disruption when timetables change in May and is concerned by a delay in publishing its final details. It should have been published with 12 weeks to go to the change to allow people to plan ahead more easily, but was published this week just within the required eight week period. He said: “Northern did not publish its timetable within the expected 12 week deadline. Those details are now available, however I have made clear the importance of delivering on these timetable commitments.